The Caldo Programmable Touch Screen Thermostat gives you complete control of your underfloor heating at a touch of a fingertip. It features a 7 day, 6 daily time period programmable heating schedule so you can simply program your heating control settings to suit your requirements. 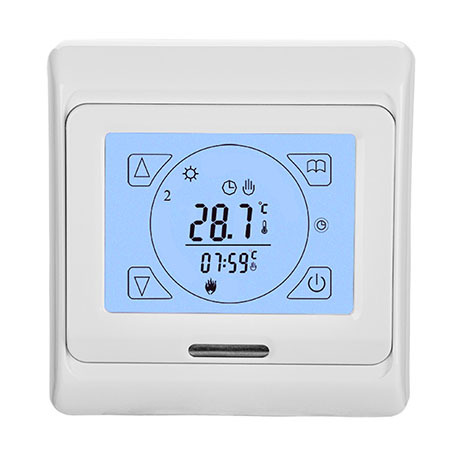 The thermostat comes with a floor probe and conduit to monitor the floor temperature and fixing plate and screws. The Caldo is an efficient thermostat that keep energy costs to a minimum whilst giving you a luxuriously warm floor.